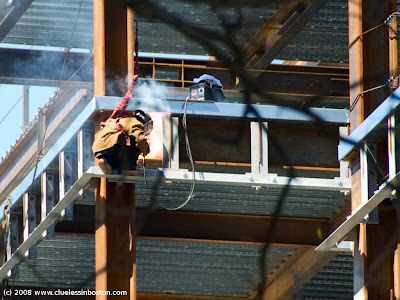 This is a shot of a welder on the building we saw yesterday. Great shot! He seems fearless!